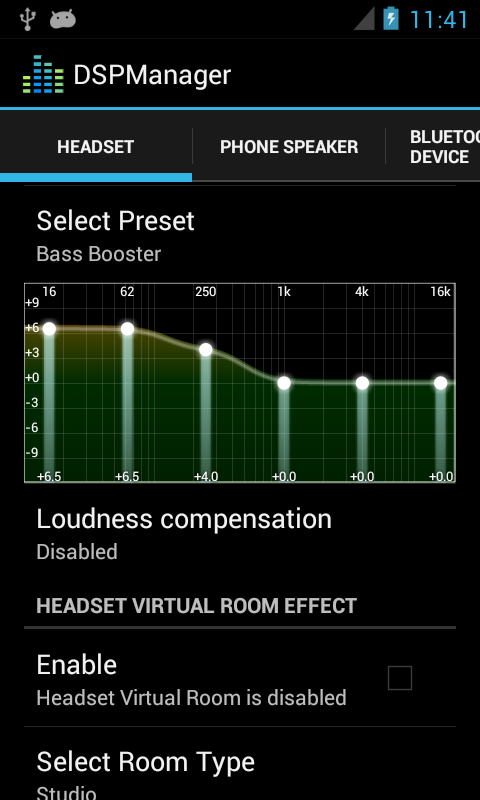 A lot of people look for ways in order to improve the sound quality on their Android devices. There are several equalizers available in the Google Play Store, however, none of them can get you a very crisp and loud sound. DSP Manager is possibly the best application which you can use in order to improve the sound quality of your Android device. It comes with the Cyanogenmod ROM but developers at XDA have ported the app for any Android custom ROM. First, you need to download this apk file. Then, you need to move the apk in the system/app folder of your phone. 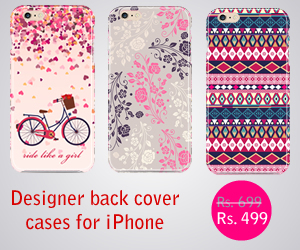 You can do this using Root Browser which is available in the Google Play Store. Then, you need to change the permissions of the file to rw-r-r. The screenshot below shows how the permissions window should look like. This method will work on all ROMS except for the HTC sense ROMS. The process for sense ROMS is a bit more complicated due to the sound enhancing lib files which are present in most sense ROMS. I can do a tutorial for installing the app on sense ROMS if 2 or 3 people ask me to. Now to the good part. DSP Manager has various different options including Dynamic Compression, bass boost and a 5 band equalizer. Dynamic Range Compression is probably the most liked feature of DSP Manager. People who don’t know much about DRC should set it low. You’ll notice a significant increase in the volume level. Basically, Dynamic Range Compression works brilliantly for old songs which are usually under-compressed. For artists like Led Zeppelin and Elvis Presley, you can set the Compression to Extreme. This will make the sound a lot louder and a lot crispier. 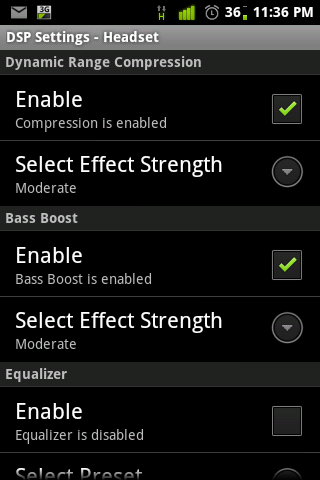 For bass boost, I recommend that you set it low if you have an average pair of headphones. You’ll notice the difference but it won’t make your headphones vibrate. However, if you have a decent pair of headphones such as Beats by Dre or Soul by Ludacris, then you can set it to moderate or extreme. The reason for this is that low quality headphones will not be able to handle such bass. Apart from these main features, you can also use a 5 Band equalizer with options including Rock, Dance and Acoustic. The Virtual Room effect is also quite interesting and you can set it according to your preferences.